This is an Organic Blog, so why do I want to talk to you about additives you may wonder? Harmful, even dangerous additives are being added to our foods claiming to be Organic and few of us truly know the affects that they may have our bodies. Because I have such a wide genetic background that includes Native American, I think, my reactions or over reactions, to chemicals and food additives, may be likely just in a small minority of humans? Yesterday I had, what I was hoping would become a new favorite: Spinach Garlic Pizza by Di Gorno. There were so many claims on the box about how natural it was, but waking up this morning with, “the headache,” that always accompanies one of the “awful additives” that I am affected by, I knew the answer before I even read the ingredient label. Sure enough, about half way down the list, was the dreaded word I did not want to find: Carrageenan. I was in a hurry last night and much to my regret, did not read the label on this new product. If this word, this additive, is new to you, please read on. The first time that I became aware of this food additive and its ugly affects on me, was several years ago. There was a story on the morning news about a new additive that people were having nasty reactions to. From that point on, I searched for it in every product. Please keep in mind two things when scanning your labels from now on. This product is made from a sea weed, much of it coming from Asia, where nuclear meltdowns are now becoming increasingly all too common. This product is allowed in VEGETARIAN hot dogs! Carrageenan is a cheap thickener, or filler, used in so many products now, you may need a score card to keep track. I am highly allergic to sulfur, think Penicillin! Predominantly it is used in ice cream products and anything that has a sauce, after that it is difficult to list all of them. There are thousands, it is, OMG, even in our shampoo and toothpaste! One new-found affect recently discovered, is “brain fog,” or feeling just slightly off and not knowing why. The other additive that I want to talk about is maltodextrin. It preceded Carrageenan in my life and was just as debilitating, with nearly identical affects and reactions. I had just begun to feel like I had conquered the demon and BAM, they started putting Carrageenan in everything. So, back to square one for label reading. Many years before either of these two were a part of my life, I found that I had terrible reactions to MSG. I will not expand on this product because most people are already quite aware of its deleterious effects. But back to the beginning of this story. 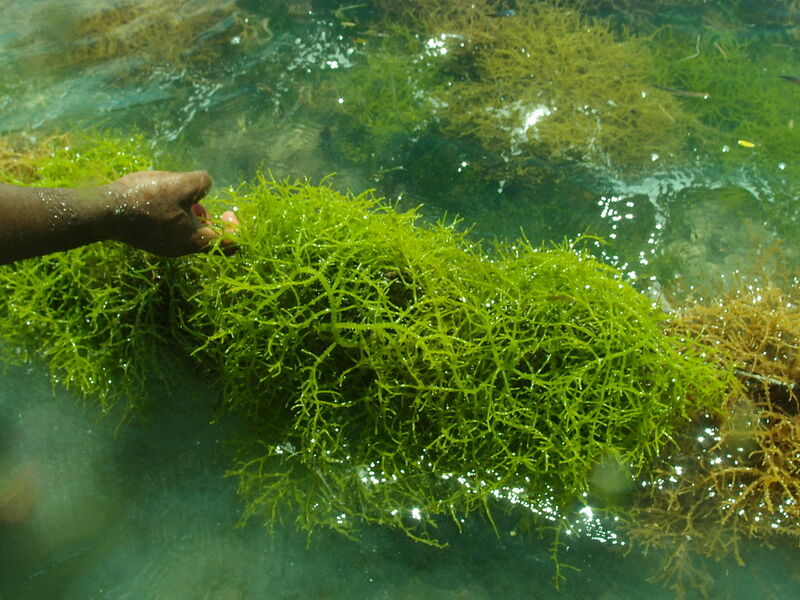 It is very disturbing to me and hopefully to you as well, that Carrageenan can be added to Organic products. The very definition of Organic is to give the consumer a feeling of safety in a chosen product. But if the FDA and whoever else has allowed this to happen, is green lighting Carrageenan in Organics, when it clearly does not belong there, what else are they letting slide in? As always, read your labels and let those who control everything that we eat and use in this country, especially the FDA, know how you feel about this kind of behavior. If you don’t think that we have a huge effect on bad Company practices, remember the Bread at Sub Way that was being made with rubber mat materials? They stopped doing this and now even proudly claim and announce in their commercials that azodicarbonamide is no longer used. This was, although completely denied by Sub Way, the direct result of a massive, hugely successful Blogging Campaign to expose it, by one very determined woman, who would not back down. God Bless her tenacity, her temerity! We are, as we should be, in control of what we buy in this Country and we need to send the message loud and clear to all those who make and approve these awful additives to be included in our food. Thank you for coming Tanya! Unlike many years ago, today’s consumers must read their labels. Too many ingredients and additives in our food now, are not good for us, some can even be dangerous, depending on your Heritage.